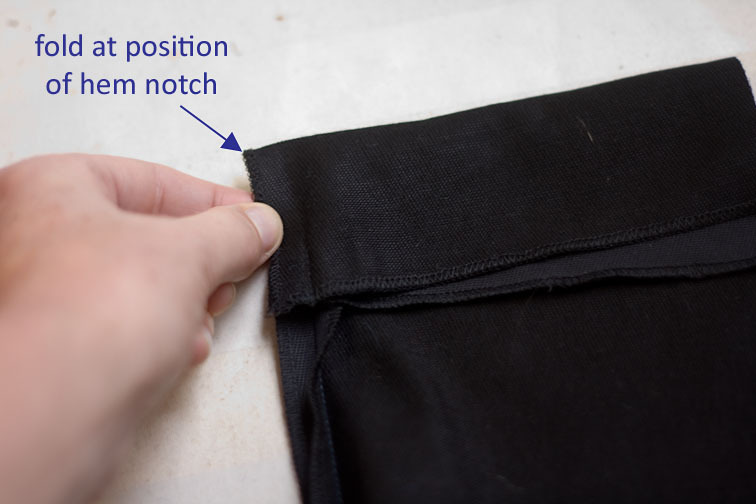 The other day I was asked how I did the side split hem on my black stretch capris, and as quite a few of you liked this design feature I’ve done a quick tutorial. This is for you Liza Jane! 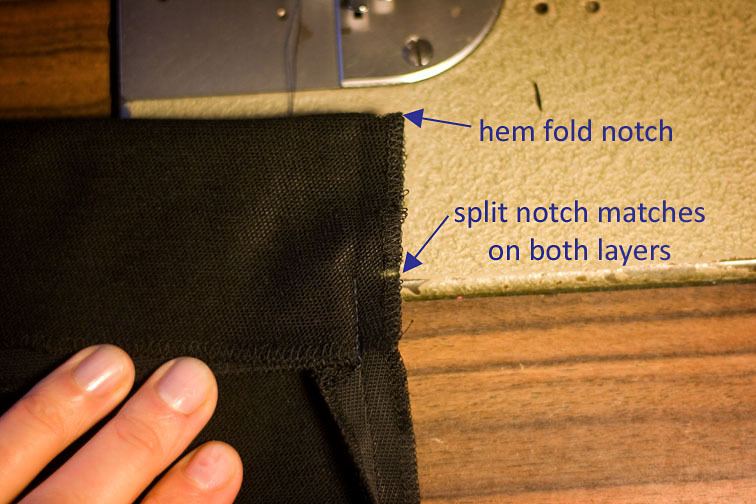 It is a handy trick to know, because you can also use it on the hems of sleeves and tops too. 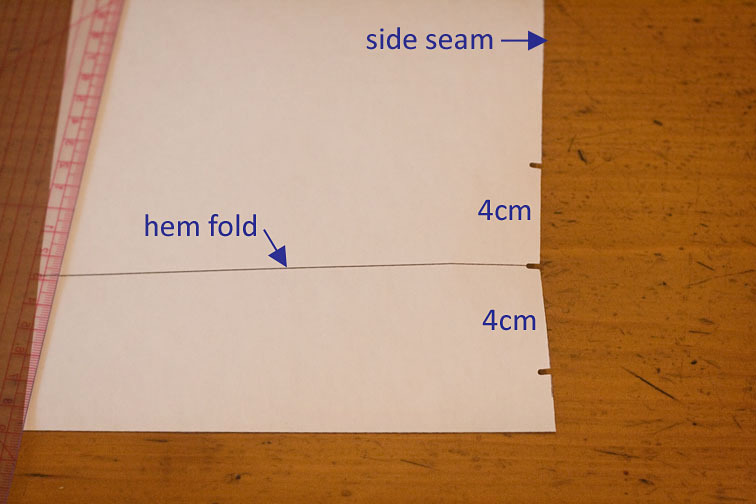 If you’ve done everything accurately, both sides of the split should be the same length (if you look closely at the very first photo, mine is about 1mm out!). 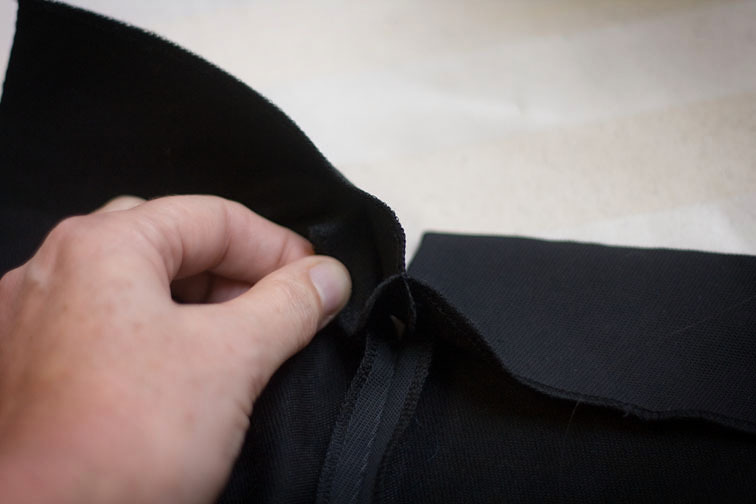 Now you sew the hem as per normal – I machined the hem on my trousers, but you can do it by hand for a more tailored look. Thank you for this – it's very helpful!! Oh, wow- you have made that fabulous detail so easy to understand! Thank you so much for this! Yes!!! Thank you! 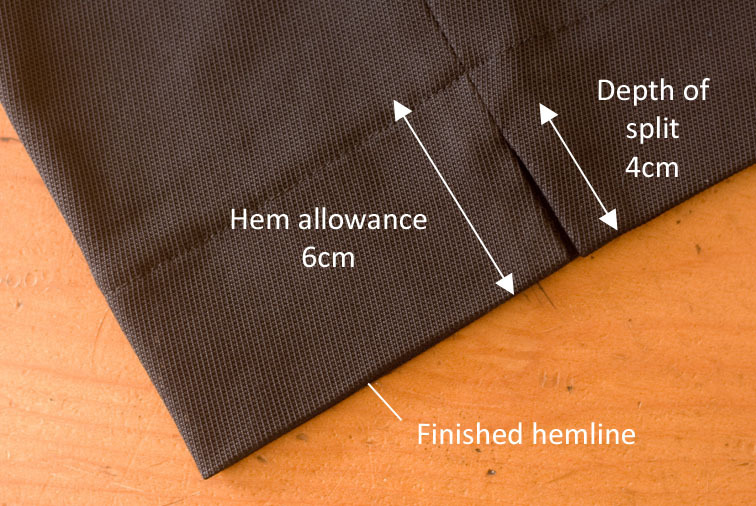 I am gearing up to make some trousers here again, and they will have side seam splits! 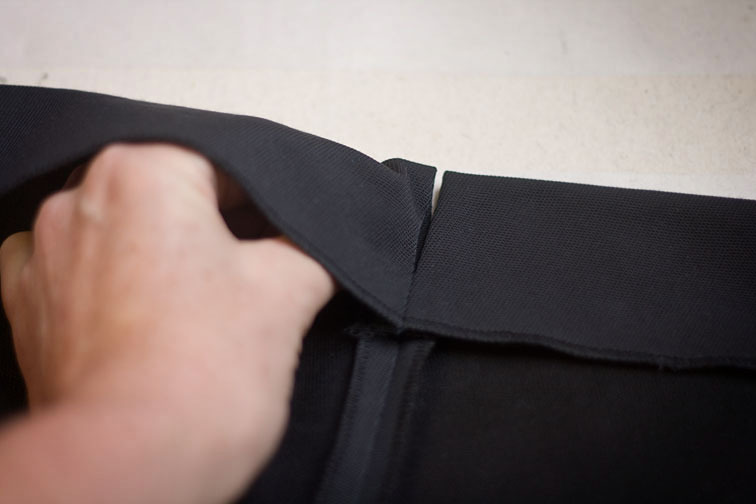 And I also like the idea of adding splits to a shirt sleeves. Awesome tutorial! You always give the best instructions. Ooh, will have to try this. 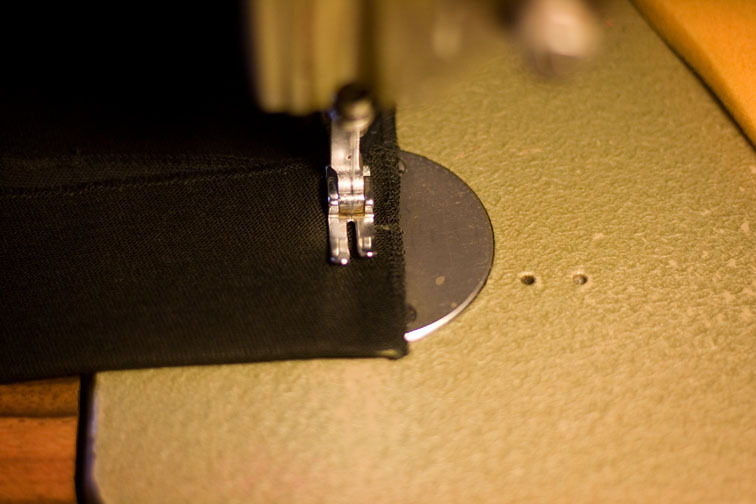 I recognize this a bit from how you tacked the hem in the rtw tailoring sew-along. I've used that idea a couple times now! Thank you for sharing. Another super tip! Thank you…again! Thank you for this tutorial. I always wanted to try this and now I can. I've pinned this also. Really clear photos and instructions. Thanks so much. This is about a billion times easier than I thought it would be. Love it, and will definitely be trying this out, hopefully sooner rather than later! Great tutorial! Thanks for taking time to post this. Thanks once more for such a useful tute. I appreciate your time and sharing of technique. Outstanding tutorial! 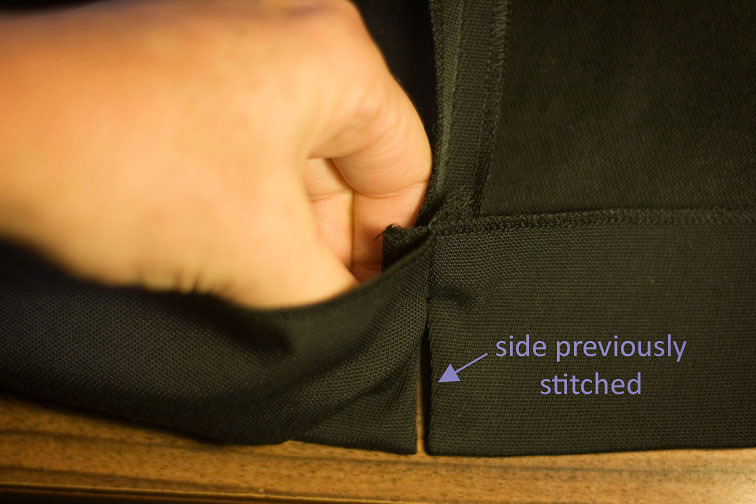 Now I know how to give myself that little bit of extra room I need at the bottom of my shirts. 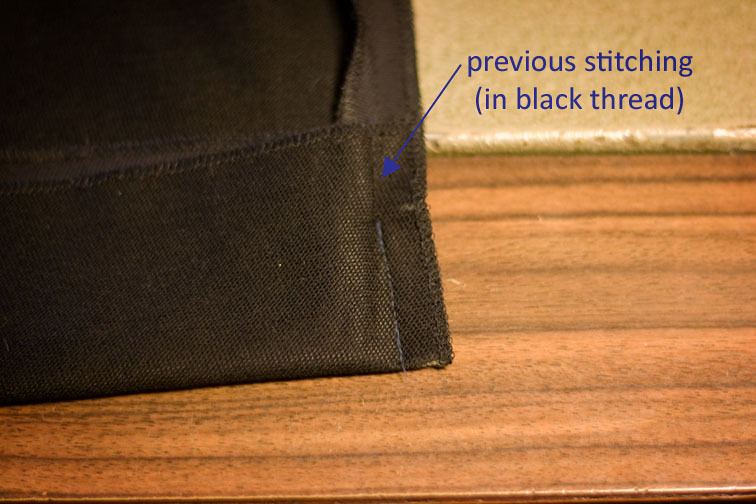 I think this might also help with some shorts that I don't like because they pull when I sit down. Thank you for this. 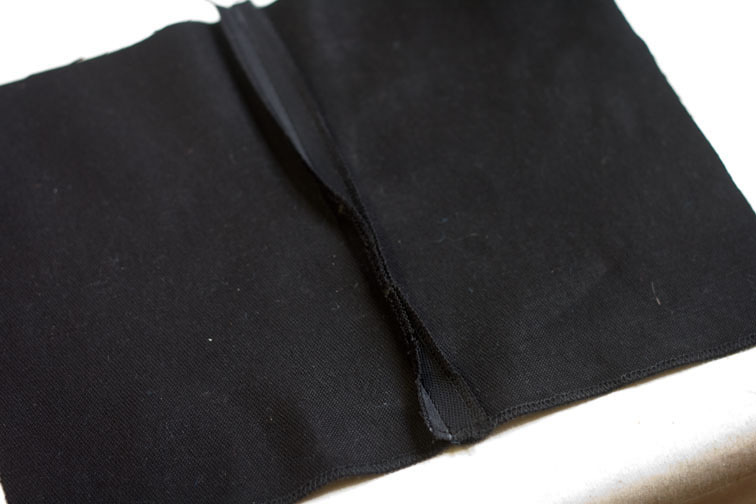 Capris are on my radar for spring so this will come in handy. Very simple when you know how! 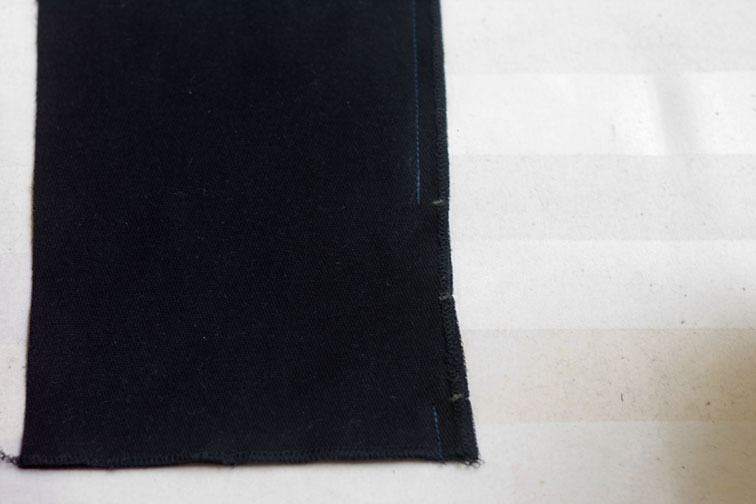 Just to let you know I mentioned you in a post over on my blog if you want to have a look! 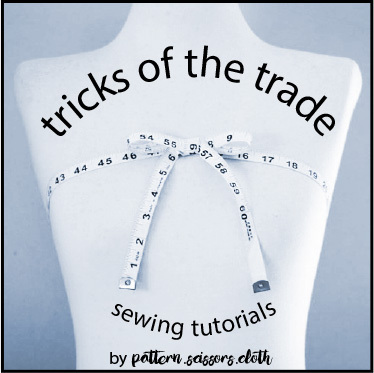 Thanks for taking the time to post such wonderful tutorials! Super cute. I love the tutorial. Thanks! Hey Sherry! 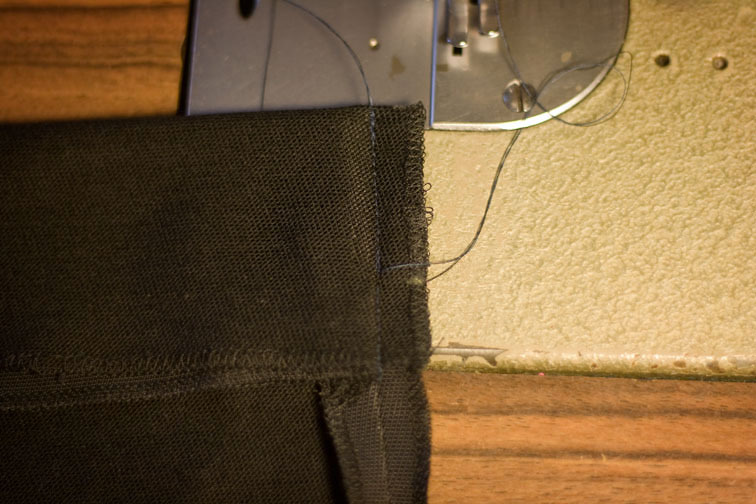 I just did this on a pair of shorts. I love it! 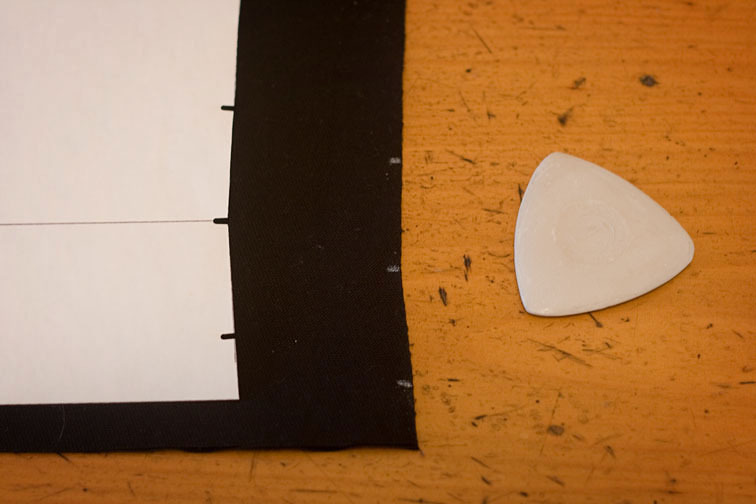 Although my split ended up being more of a v. I think it probably had to do with the thickness of my fabric (it was a home decor weight). 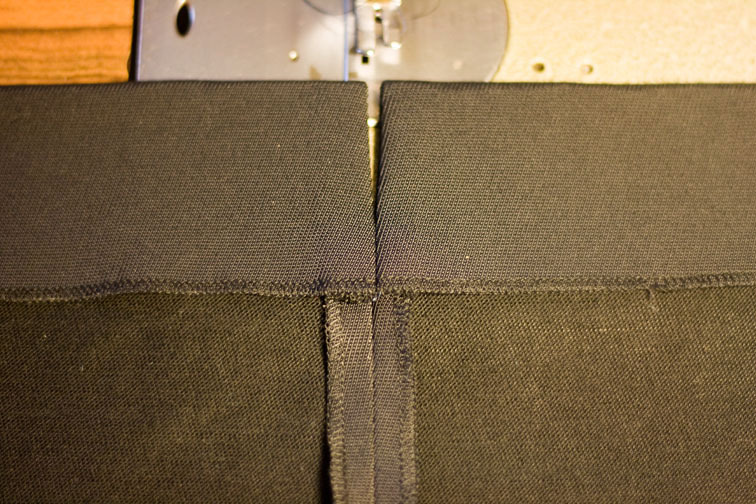 I wasn't sure if I was supposed to trim the seam allowances after I stitched them, so I didn't. That may have helped. Next time! Thanks you for this.Great tutorial. I like it too much. Thank you so much for this tutorial! 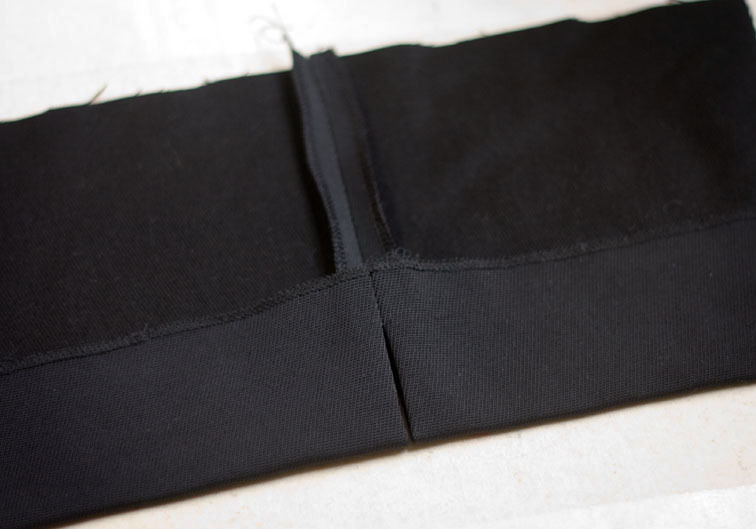 I finally “get it” and can complete my Willow Style Arc pants! Lovely detailed explanation. Thank you! Your tutorials a great! Thanks so much! Awesome. 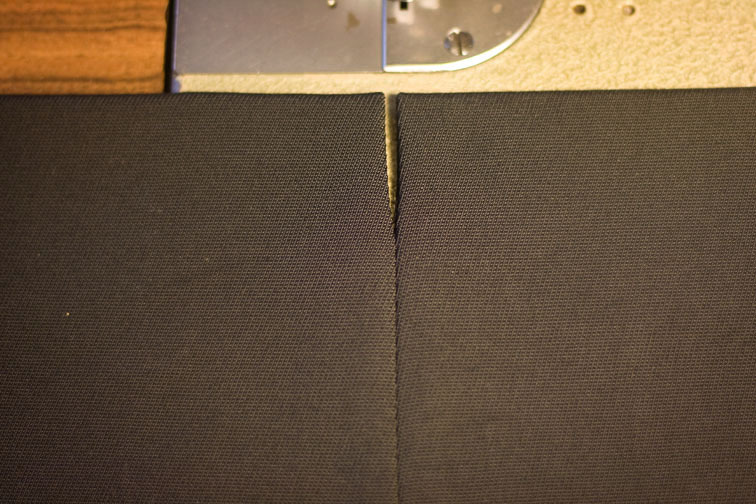 I was trying to hem someones pants that had a finished split like that, but it didn't occur to me how it had been accomplished. After looking at this, it seems so easy! Now I can do it this way from now on.